Familiarizing yourself with the various types of wig cap construction will help you to make an informed decision. 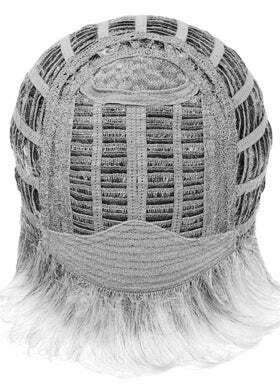 We have provided visual media of each type of wig cap to give you a better understanding of how each type of wig is made. Please note that there may be slight variations amongst different brands. Our video on wig construction will provide a good visual of the different cap types. Our photographs and summary below will point out the pros and cons of each type of wig cap. With this wig type, teasing is present at the crown or hair root to give lift and volume. The teasing is purposefully placed to conceal the cap underneath. Low maintenance and ready to wear out of the box. Strips of hair, called "wefts", are sewn together by machine to create the hairpiece. 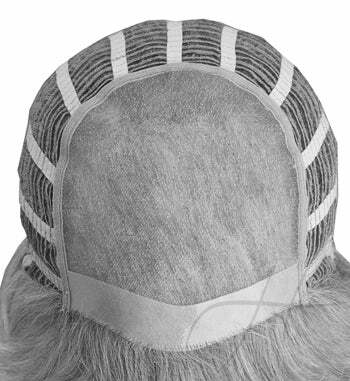 The "wefting" (hair strips) provide varying degrees of openness in the cap. 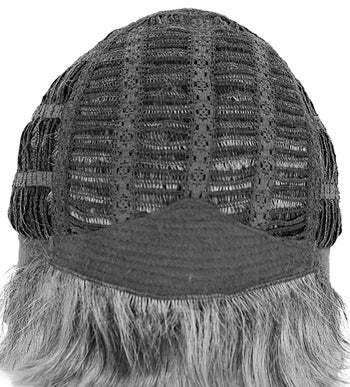 If the wefting is open between 20-75%, the wig is classified as "CAPLESS". If it is open more than 90%, it is called "FULL CAPLESS" or "100% CAPLESS". The more open it is, the cooler and more comfortable the wig is to wear. Excellent quality at a budget friendly price. 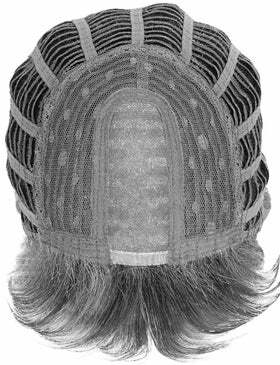 With this wig type, Individual hairs are tied to a fine mesh material that allows both light and air to pass through. 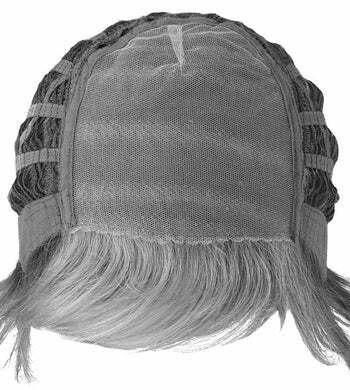 Made of an ultra fine mesh fabric that blends with any skin tone, giving the look of real hair growing from the scalp. The hair comes out of the cap vertically - the same direction that natural hair grows. Offers versatile styling options as hair can be styled or parted in any direction. Provides the most comfortable and natural look possible. Excellent for sensitive scalps. Lightweight and breathable; great for warm weather. Should be handled more gently than standard or machine made caps. A "double mono top" has an extra layer of soft material for additional comfort. Hand tying is the tedious process of manually knotting individual hair fibers onto the wig cap for the most natural look possible. Usually done on parted areas and on the edge of the cap in order to hide cap material when the hair is pulled back. Softest, most comfortable wig cap type. Ideal for sensitive scalps or hair loss. Requires more gentle care than machine made caps. With a lace front wig type, the front hairline of the wig features a lace material with individual hairs tied the the base. The rest of the cap can be made using any of the above methods. This type of wig creates a natural looking front hairline that looks like hair growing from the scalp. Allows for a nearly invisible hair line. Tape can be used to secure the lace to the scalp. Each hair is individually hand tied to a piece of sheer lace. Hair can be pulled back or styled away from the face because of the natural looking hairline. Lace can be delicate and should be handled carefully. A few years ago, skin top wig types were the high end option for those who could afford them. Due to advances in wig construction in recent years, skin tops are much less common. This type of construction has mostly been replaced by monofilament construction, which provides the same benefits of skin tops in a more comfortable and affordable package. A handful of manufacturers continue to offer skin tops. With this wig type, individual hair fibers are implanted into an artificial plastic scalp base. Like monofilament caps, the hair comes out of the cap vertically, in the same way that natural hair grows. Hair can be parted anywhere on the cap without seeing the cap material underneath. Skin tops can be made either by machine or by hand. 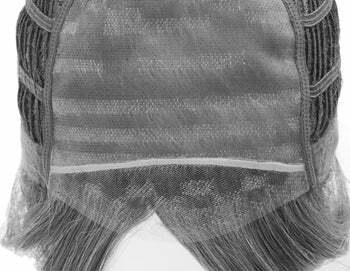 If done by hand, the hair fibers are randomly placed, giving a more realistic appearance. The finer the groupings of individual hair fibers on this cap, the better the quality.Skin top wigs will follow the same distribution pattern as monofilament tops. © 1996-2018. Headcovers Unlimited, Inc. All Rights Reserved.